One can look back to 2009 when home prices were at their lowest in years, this as a result of the general economic decline felt in most regions of the country. The housing market in Boston, Massachusetts has always held values much higher than the national median value, both for single family homes as well as condominiums. While average home values in the greater Boston area selling for just north of $300,000, they closed out 2017 around $600,000, doubling their value in just eight years. But for those who are thinking this indicates a bubble there’s a bigger difference in today’s environment that wasn’t in place leading up to 2009. Unless you’re a cash buyer you’ll need financing and lenders today don’t approve loan applications like they did some 10 years ago. Back then, nearly any homebuyer could qualify for a mortgage without needing to provide sufficient evidence of employment or income. Property values had been on the rise for almost a decade and buyers began snapping up real estate for the sole purpose of selling it just a month or two later to cash in on the real estate boom. Not only did many loan programs mainly ignore such things as employment and income but down payments as well. Financing a higher end home in the greater Boston area then meant lower down payments, no verification of income and no verification of assets. But we all know what happened. Today financing a jumbo loan in Boston means a fully documented loan with solid credit. Buyers can expect to provide at least a 20 percent down payment although there are jumbo loans available with as little as 5 percent down as long as the buyers have a qualifying credit score of 700. For those who think that lenders should relax some of their guidelines to stimulate home sales, it’s actually the opposite that would happen should mortgage companies return to the “wild, wild west” days of indiscriminate lending. Providing a stable real estate market with responsible lending actually improves the real estate market. Property owners recover their equity and more. When it’s time to sell and buy another place to live, the equity growth in their home provides funds for a down payment and closing costs for the next sale. According to industry analysts, while the median home value for Boston topped $600,000 late last year, prices are expected to increase yet again in 2018 by about 5 percent. This on top of an 8.2 percent year-over-year increase from 2016 to 2017. Analysts are also still keeping a close eye on inventory for the coming year and into 2019. A lack of inventory is still putting pressure on prices. However, more single-family homes, apartments and condos coming to the market will help keep prices from rising too fast, too soon. Interest rates will also create an impact. The Federal Reserve announced earlier this year that while no rate increase was announced last January the Fed did announce that we can expect three rate increases by the end of the year. When the Fed makes a rate move, higher or lower, historically the adjustment is made in 0.25% increments. That would mean rates would be higher by 0.75% by year end. But the Fed adjusts the cost of funds here in our economy without a direct impact on mortgage rates. Higher home values and an increase in rates can have a greater impact on first-time buyers rather than those moving up to buy a higher end home. As home values increase so too will the cash amount of a down payment. For a 10% down payment on a $300,000 home back in 2009, the out of pocket cash needed for a down payment is $30,000. For a sales price of $600,000 however, the down payment needed is also doubled to $60,000. Buyers in the luxury market typically need to sell their current property before moving up to a more expensive property. They need buyers and if there are fewer buyers that can qualify at higher values and higher rates, this will actually help stabilize the jumbo market in the greater Boston area and keep the market from overheating while still providing an increase in equity for existing homeowners. 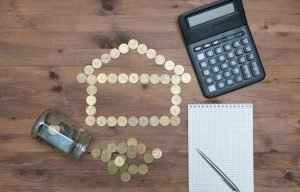 What types of mortgage programs are there for a jumbo purchase? Loan programs for jumbo loans provide both fixed rate and variable rate options, much like other loan programs do. Minimum credit scores range from 680 to 700 depending on the selected loan and down payment. Loans with higher down payments might expect more favorable rates compared with low down payment jumbo loan programs. It’s important to note the differences between various loan programs as it relates to a maximum loan amount. There are conforming loan limits, high balance, jumbo and super jumbo. In the greater Boston area, the maximum conforming loan limit is $603,750 for Boston and Suffolk County. This is much higher than the national limit which is $484,350 in many parts of the country and throughout Massachusetts. This higher limit is referred to as a “high balance” loan amount. Loan limits that are higher than the conforming loan limit falls into the jumbo range. The super-jumbo category is not really an official category but generally refers to loans that are higher than a range from $2.0 million to $3.5 million. Buyers in the higher end market in Boston and Suffolk County will find that the availability of jumbo financing is much like any other loan and the qualifying guidelines mimic other loan programs. There are minimum credit score requirements, down payment, debt-to-income ratio guidelines to follow as well as verifying sufficient funds to close on a luxury purchase including not just the down payment and associated closing costs but also a minimum of reserve funds available that lenders refer to as cash reserves. A common cash reserve requirement for many jumbo loans is 6 – 12 months’ worth of mortgage payments in a liquid account. Buyers can read about all the 90% and 95% jumbo purchase and refinance options on the pages above. Please contact us 7 days a week with questions by calling the number above, or just submit the Quick Call Form on this page.